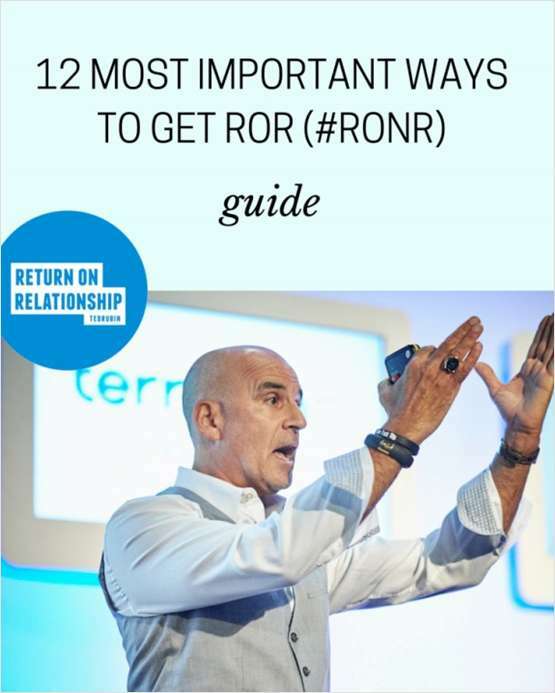 "The 12 Most Important Ways to Get Return on Relationship"
Free Tips and Tricks Guide: "The 12 Most Important Ways to Get Return on Relationship"
Return on Investment is simple dollars and cents. Return on Relationship is the value that will accrue over time through connection, trust, loyalty, recommendations and sharing. By submitting this content request, I have legitimate interest in the content and agree that Ted Rubin, their partners, and the creators of any other content I have selected may contact me regarding news, products, and services that may be of interest to me.